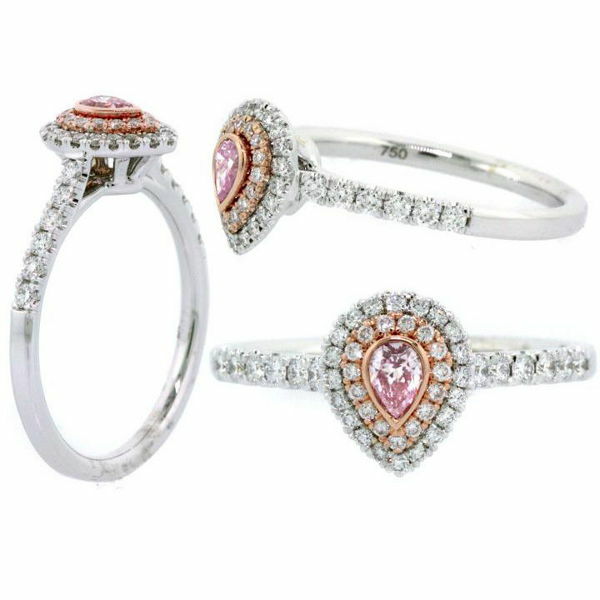 Double halo pear shaped Argyle pink diamond ring. The beautiful setting features an Argyle diamond weighing 0.12 carat in the center along with 47 round brilliant diamonds weighing 0.33 carat. Total diamond weight is 0.45 carats.